Mr. Cohn is offering his services for fund raising for the $650,000 that Berry is trying to raise. 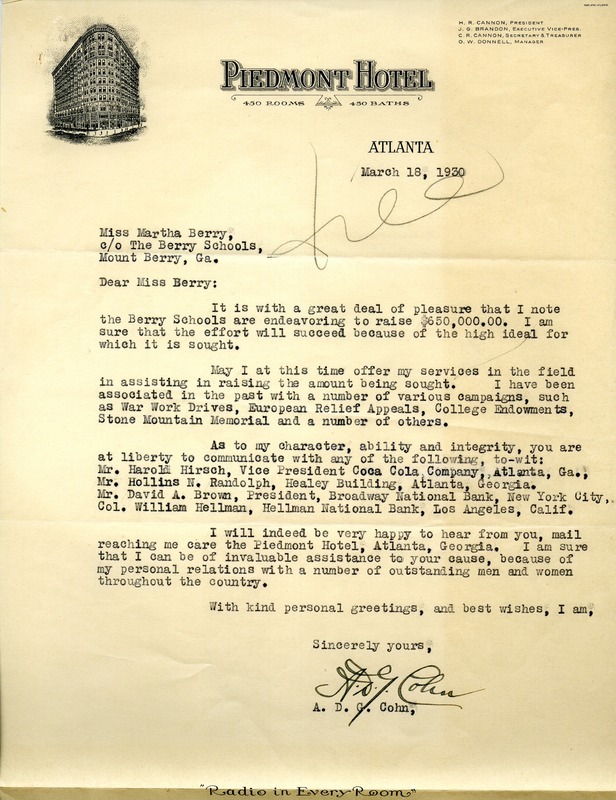 A. D. G. Cohn, “Letter to Martha Berry from A. D. G. Cohn.” Martha Berry Digital Archive. Eds. Schlitz, Stephanie A., Chelsea Risley, Alan Henderson, et al. Mount Berry: Berry College, 2013. accessed April 23, 2019, https://mbda.berry.edu/items/show/12157.